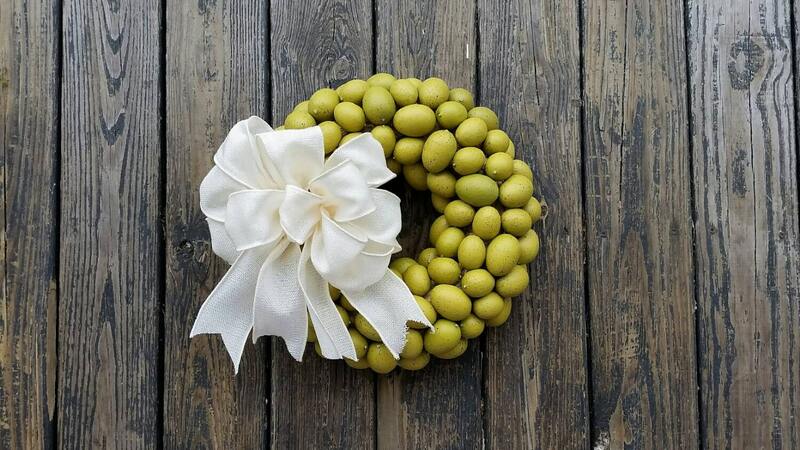 I have to admit I am in love with this wreath. 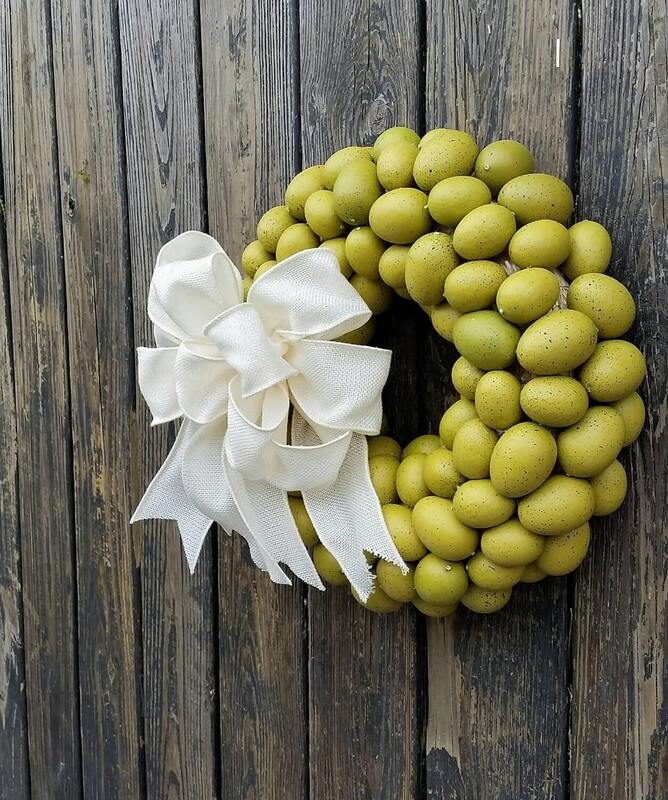 It is the perfect Easter Wreath but it's also the perfect rustic, year round, kitchen or breakfast nook wreath. 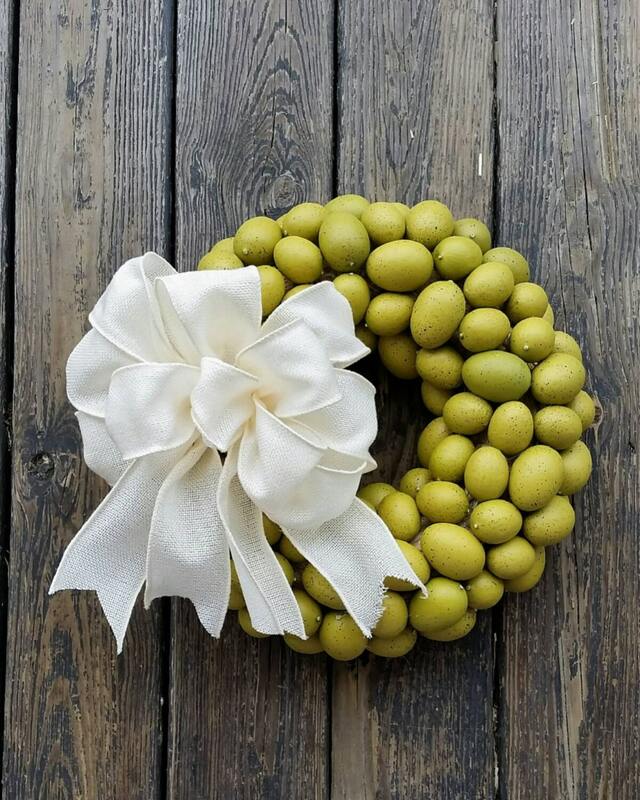 The base is a neutral 12 inch straw wreath form. 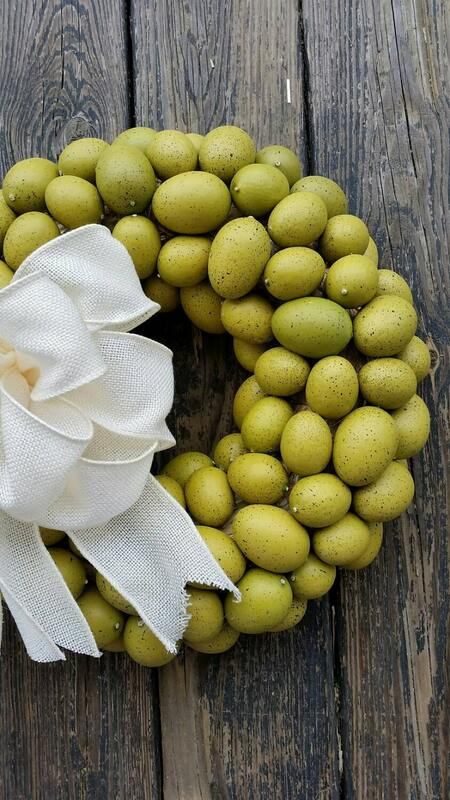 Dozens of speckled eggs are attached to the form. There are two different sizes of eggs ranging from your standard hen sized egg to small robins' eggs. 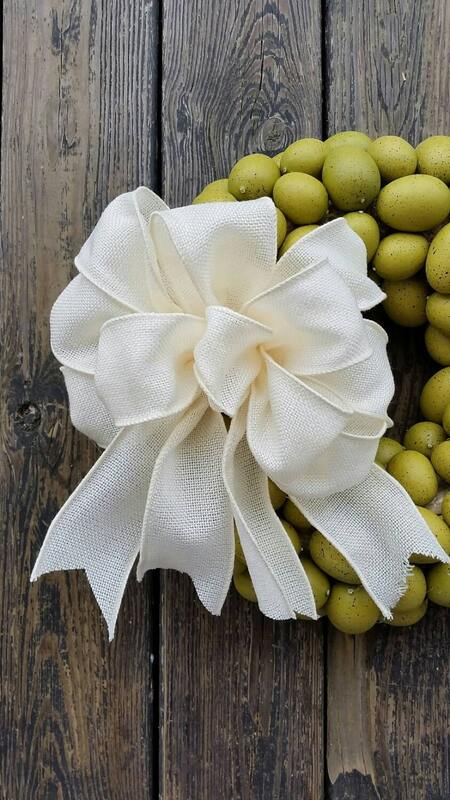 The finishing touch is a elegant yet rustic cream colored burlap bow. Absolute perfection.